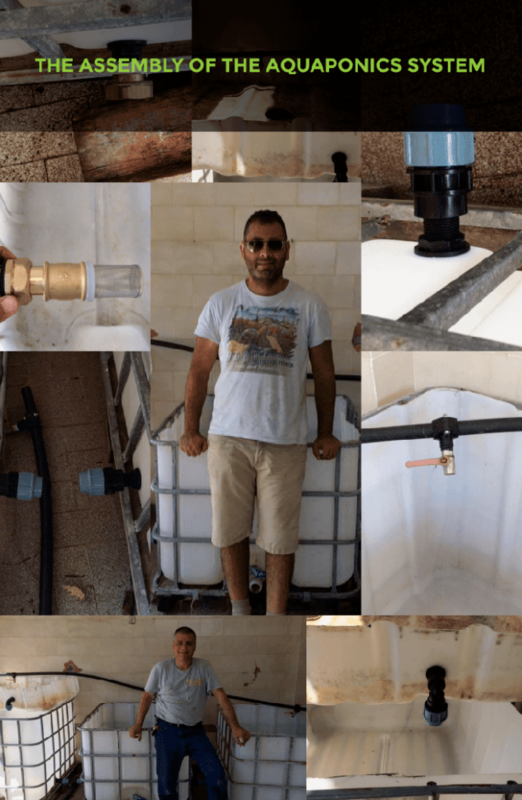 I knew I wanted to write this Blog post as soon as I started the series of water harvesting andwater purification systems. If you’re going to harvest water and purify water why not farm with water? I want to give you an https://worldpermacultureassociation.com/water-purifying-systems-can-save-your-life/inside look at my system. I will go over why I have chosen the system I did. Additionally, I would like to introduce a new form of soil-less farming called Bioponics. First, we need to know what each system is so I will explain Aquaculture, Hydroponics, Bioponics, and Aquaponics. The term Bioponics was first coined in 2005 by the American hydroponics veteran William Texiera when he patented the process. Bioponics is a fish optional farming technique. That provides an organic alternative to normal hydroponic practices by using beneficial microbes in the growing area. The microbes colonize plant roots and grow media to dramatically boost the bio-availability of organic nutrients. Fish live within an environment of liquid organic nutrients as with a fertile pond. They derive nutrients from dissolved solids of grasses and microbes. Bioponica developed a system called the Biogarden. In the video one of the plants; they are talking about in the system is the growth of one of the plants I am very familiar with Bamboo. However, I never have seen bamboo in an aquaponics system before. I love this system and this company because they are completely and always Chemical Free! The term Bioponics was first coined in 2005 by the American hydroponics veteran William Texiera when he patented the process. Bioponics is a fish optional farming technique. That provides an organic alternative to normal hydroponic practices by using beneficial microbes in the growing area. The microbes colonize plant roots and grow media to dramatically boost the bio-availability of organic nutrients. Fish live within an environment of liquid organic nutrients as with a fertile pond. They derive nutrients from dissolved solids of grasses and microbes. Bioponica developed a system called the Biogarden. In the video one of the plants; they are talking about in the system is the growth of one of the plants I am very familiar with Bamboo. However, I never have seen bamboo in an aquaponics system before. I love this system and this company because they are completely and always Chemical Free! 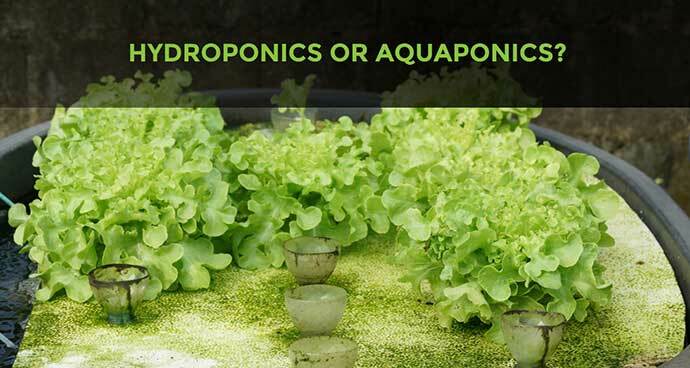 Aquaponics refers to any system that combines conventional aquaculture (raising aquatic animals such as snails, fish, crayfish or prawns in tanks) with hydroponics (cultivating plants in water) in a symbiotic environment. In normal aquaculture, excretions from the animal can accumulate in the water, increasing toxicity. In an aquaponic system, water from an aquaculture system to a hydroponic system where the by-products are broken down by nitrifying bacteriainitially into nitrites and subsequently into nitrates that are utilized by the plants as nutrients. The water recirculates back to the aquaculture system. I wanted to go into the history of Aquaponics. There are some discrepancies on when the first occurrence was. Whether it was with the Aztecs in Central America and their use of the chinampas. A Chinampa is a type of Mesoamerican agriculture which used small, rectangular areas of fertile arable land to grow crops on the shallow lake beds in the Valley of Mexico. Chinampas are considered to be the first aquaponic system with the intent of agricultural purposes. Plants were raised on stationary (or sometimes movable) islands in the lake shallows and waste materials dredged from the Chinampa canals, and surrounding cities were used to water the plants manually. Woodcut from the 13th century Chinese agricultural manual Wang Zhen’s Book on Farmingshowing rice grown in a floating raft planter system in a pond. Aquaponics dates back in the Far East to 5 AD with Chinese settlers from Yunnan where rice was cultivated and farmed in paddy fields with fish. With China running out of space and natural resources they are going large scale with their soil-less farming in aquaponics setting up multi-cultural fish ponds that are as big as 2.5 acres. Urban Permaculture Laboratory home of World Permaculture Association holds our Aquaponics system. The fish we have currently in our aquaponics tank are Gambusia. Gambusia was known as the western mosquitofish. They are freshwater fish. These fish are great for removing mosquitos and other insect larvae. Mosquitofish are larvivorous fish. Their diet consists of zooplankton, small insects and insect larvae, and detritus material. Having these types of fish in our system acts as an ecosystem filter, that naturally lives in the system and removes the insects and dead particles. From my experience and research, I have found the best fish to use in an aquaponics system are Bluegill, Koi, Fancy Goldfish, Pacu, Sunfish, Crappie, Tilapia, additionally other ornamental fish. Carp, perch, catfish, and bass are other fish that can live in an aquaponics system. At our Urban Permaculture Laboratory, we also support aquaculture systems that do contain carp as well as ornamental fish. When I mention ornamental fish, for example, I mean angelfish, guppies, tetras, swordfish and, mollies. However, due to climate, nutritional demands for the fish and plants look at your system to find which plants and fish are best for your systems. With our system at Urban Permaculture Laboratory, we are growing Vetiver Grass which is a great plant that purifies the water. The other plants that can grow and thrive in an aquaponics system would be bamboo, lettuce, kale, pak choi, swiss chard, arugula, basil, mint, watercress and, chives. Plants that require a higher nutrition level and will only nourish would be tomatoes, peppers, cucumbers, beans, peas, squash, broccoli, strawberries, Brussel sprouts, cauliflower, and cabbage. However, most any plant will thrive in the right temperature, ph balance system. Not just edible plants but you can also plant aromatic plants like lavender or decorative plants such as daisies. Our Aquaponic System also grows aquatic plants, plants that have adapted to living in aquatic environments. The aquatic plants we currently have are common duckweed and large flowered water weed. Generally, these plants purify the water, oxygenating it and produce biomass that can be used to produce compost, mulch, and feed chickens and ducks. These plants also support the system as a whole by creating byproducts. The Aquaponics system has the natural resources recycling through creating the necessities for the fish as well as the plants. Vetiver grass will purify the water; the water goes back into the tank with the fish adding oxygen into the water. The Fish waste transforms from being bacteria to being a resource and a natural fertilizer for the plants. The excess of nutrients from aquaculture (waste that needs to be managed) is used by plants (you avoid buying and having to use chemical fertilizer) With aquaponics you remove the problem of both in one system. You can have successful soil-less systems with Aquaponics, hydroponics and, bioponics. The most important factor to me is that you’re not adding chemicals or losing nutrients in your food supply. That’s why at World Permaculture Association we choose Aquaponics because there are no chemicals. Consequently, I do not believe that any of the systems including aquaponics to be the solution. These systems do have a place in our farming system in urban settings and specific situations. However, the solution is within Permaculture that we increase the ecosystem functions of our land and the bring an increase of the food production, so we use less surface to produce more nutritious local food supply and then use the rest of the surface for reforesting our planet.